Foreign Minister Dr. A K Abdul Momen, MP welcomed UK’s decision to continue to extend EBA facility to Bangladesh even after the BREXIT. 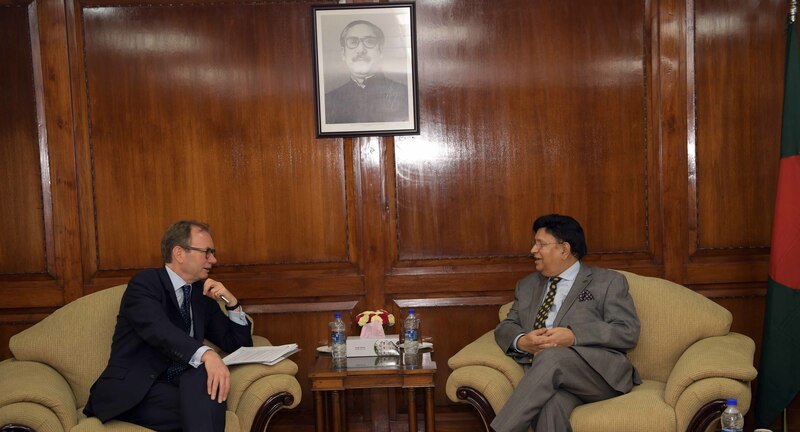 He also expressed hope that UK’s support in terms of preferential access would remain in place for Bangladesh’s post-LDC period. 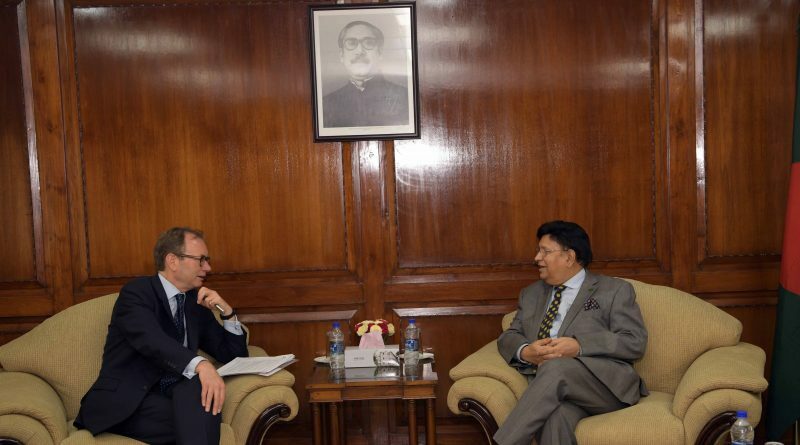 Foreign Minister said this as the new British High Commissioner to Bangladesh Robert Chatterton Dickson called on him yesterday. Foreign Minister Momen congratulated Mr. Dickson on his appointment as the new British High Commissioner and assured him of best of cooperation during his tenure in Bangladesh. The Bangladesh Foreign Minister recalled UK’s full support during Bangladesh’s Liberation War and the historic meeting between Bangabandhu Sheikh Mujibur Rahman and Prime Minister Sir Edward Heath at No 10 Downing Street on 08 January 1972, right after his release from Pakistan jail after our independence. Foreign Minister Momen briefed the High Commissioner about the 11th Parliamentary Elections that was held in Bangladesh on 30 December 2018 in a festive and peaceful atmosphere. He also thanked Prime Minister Theresa May and other global leaders for congratulating Prime Minister Sheikh Hasina and her cabinet on re-election. 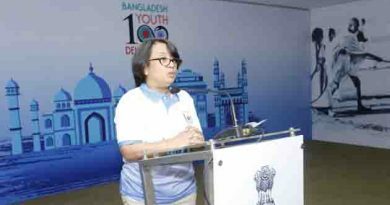 Dr. Momen highlighted Bangladesh’s tremendous socio-economic developments particularly during the last one decade in light of Prime Minister Sheikh Hasina’s Vision 2021 and Vision 2041 that envisages the transformation of Bangladesh into Sonar Bangla or Golden Bengal as dreamt by Father of the Nation Bangabandhu Sheikh Mujibur Rahman. British High Commissioner promised UK’s support in terms of increased business and investment between the two countries to realise that dream. Rohingya issue figured high in the discussion. Dr. Momen appreciated UK’s strong political and humanitarian support. British High Commissioner promised to maintain persistent pressure on Myanmar for early but safe, dignified and sustainable return of the Rohingyas to their ancestral land in Rakhine. 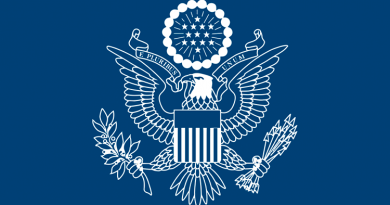 ← The US embassy to Dhaka issues a fresh security alert for its citizen living in Bangladesh. 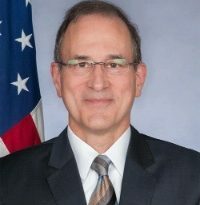 Deputy Assistant Secretary for Population, Refugees, and Migration Richard Albright visits to Bangladesh.